Sheriffs are investigating the suspected murder-suicide of two people found Thursday night in southwestern Bradley County. The bodies of a man and woman, who have not been identified, were discovered inside an empty home on Clear Lake Road in McDonald, according to a news release from the Bradley County Sheriff's Office. The cause of death has not been released and autopsies will be conducted. The home belongs to a family member, the release stated. The investigation is ongoing and the Bradley County Sheriff's Office Criminal Investigations Division is expect to be on the scene for most of the night. 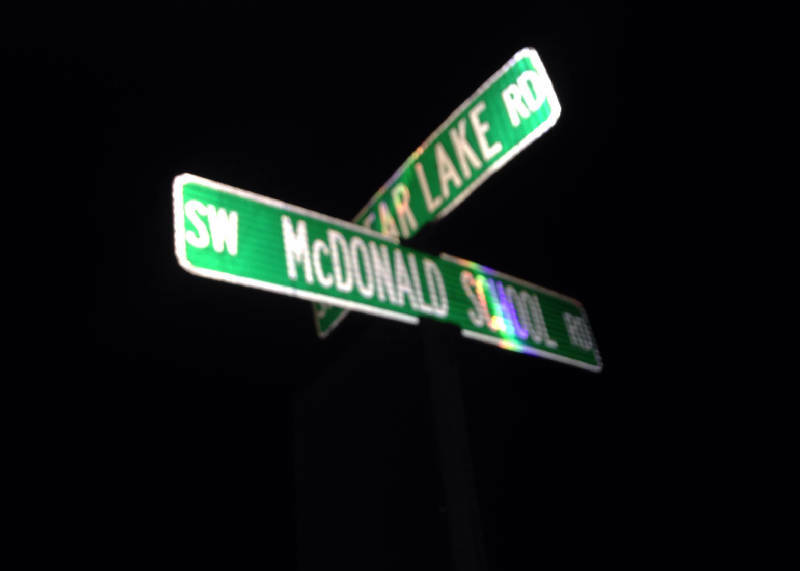 A street sign at the intersection of McDonald School Road and Clear Lake Road is shown. Photo by Evan Hoopfer /Times Free Press.